The Story Behind Mid Coast Mower & Saw - Power Equipment is What We Do! With over 33 years of experience, Rick Wicks has been providing San Luis Obispo County's homeowners and commercial users with quality equipment and service. Starting out as an apprentice mechanic in 1978, his goal was to someday own his own shop. That came true in November of 1990. 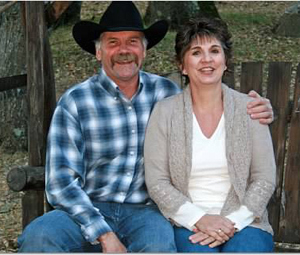 Rick started in our current Atascadero location as a one-man shop, with wife Margaret taking care of the bookkeeping from home. The first ten years was a growing period for everyone. We started our family with our daughter, Erin arriving in August of 1989 and our son, Morgan arriving in August of 1992. Margaret joined the business full-time in 2000. In the summer of 2000 we doubled our floor space allowing us to offer a more diverse selection of power equipment. There are now 5 full-time people running this show. We are able to offer the following quality brands: Husqvarna, Stihl, Echo, Shindaiwa, Toro and Bear Cat. Everything from chainsaws, roto-tillers and walk-behind mowers to string trimmers (weedeaters), riding mowers and blowers, we have you covered. For the homeowner or the commercial user. We can talk with you about your specific requirements and your price range and determine which tools will best meet your needs. Power equipment is what we do. This is not a sideline. We have knowledgeable staff people to help with your selection of equipment, as well as assist with parts and service. We are a full-service shop offering repairs and replacement parts, as well. We also handle engines for Briggs & Stratton, Honda, Kawasaki and Kohler.